The institute for Economics and Peace (IEP), recently revealed their ranking of the most peaceful countries in the world, defining a nation “at peace,” as one being “not involved in violent conflicts with neighboring states or suffering internal wars.” Safety, understandably, plays a big part in what makes a country attractive for prospective visitors. And, it just so happens that the top 15 most peaceful countries, are also some of the most amazing places on earth to visit. With all of the hot springs available throughout Iceland to relax in, it’s not really all that surprising that Icelandic people are so peaceful. So peaceful in fact, that the country was ranked No.1 by the IEP. Of course, the scenery alone is enough to make that stress melt away. The Blue Lagoon, one of the nation’s most famous attractions, is a geothermal spa that contains waters that are 98 to 102 degrees Fahrenheit all year round. The warm waters are soothing and rich in minerals like silica and sulfur, believed to help heal skin disorders like eczema. 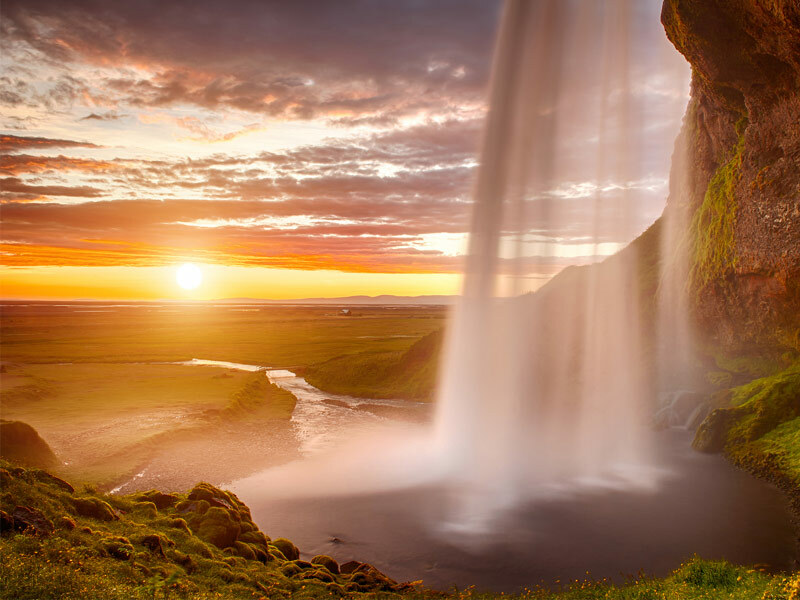 There are also a multitude of waterfalls, like Seljalandsfoss Falls, which plunges 200 feet into a pool below. Some visitors have had the fortune of being able to watch the Northern Lights from behind the cascading waters. Iceland is one of the best places on the planet to witness the wonder of the aurora borealis. While you’re here, you can even visit the Elf School, a school that teaches students and visitors about Icelandic folklore. You’ll learn all about the mystical creatures, including 13 types of elf, four kinds of gnome, three types of troll and three fairy varieties – all from locals who claim to have had personal encounters with them. Denmark was noted as the second most peaceful country, and it’s also frequently found on lists of the happiest nations as well. Visit one of the happiest cities on the planet by heading to Aarhus, situated along the coast next to fjords, forests and Viking rune stones, home to an Old Town with traditional Danish architecture. 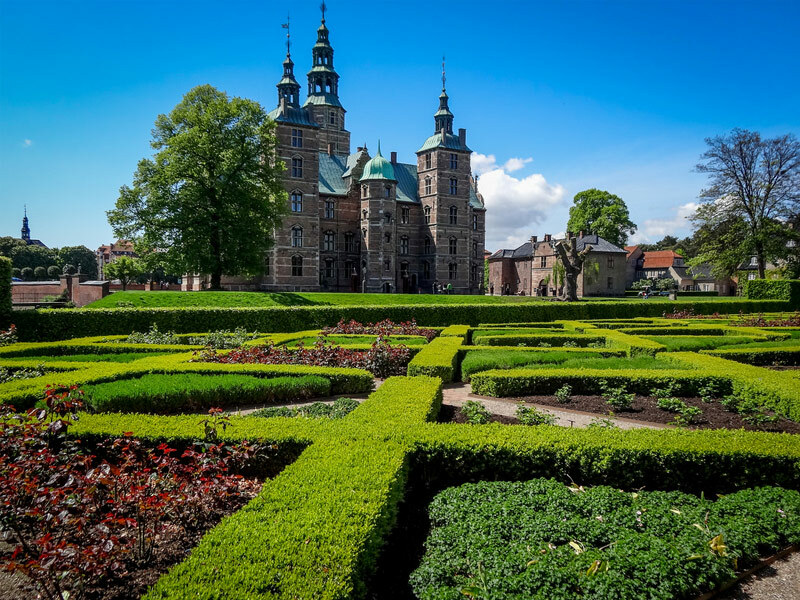 The Danish Riviera, just north of Copenhagen, is renowned for its idyllic beaches, magnificent castles and museums, while the island of Funen hosts beautiful, colorful gardens, manor houses and castles as well as being the birthplace of Hans Christian Andersen. Right in Copenhagen, you can enjoy peaceful scenes too, like King’s Garden at Rosenborg Castle, a perfect spot for locals and visitors to picnic. Maybe it’s the music at Vienna’s Musikverein’s famous Golden Hall, known as happiness for the ears, as well as those famous chocolate Sacher tortes at Café Sacher that keep everyone feeling relaxed. This country is ranked the third-most peaceful, due in part to minimal violence and political conflict within it, as well as its equitable distribution of income that may help keep it that way. For visitors, in addition to melt-in-your-mouth chocolate and heavenly music, you’ll find charming villages and soaring mountains. The Austrian Alps are the nation’s biggest natural attraction for tourists, offering outstanding skiing and mountaineering. 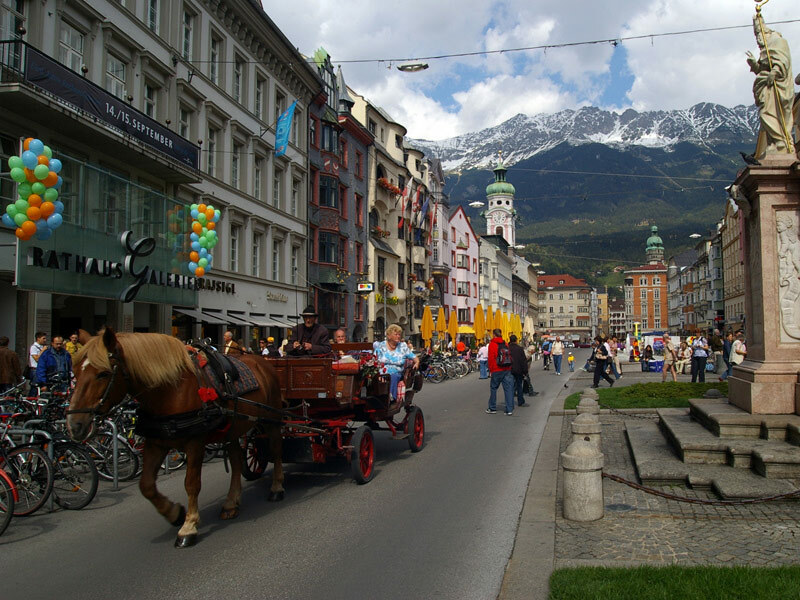 Innsbruck, the region’s major city, also offers fun attractions like Swarovski Crystal World and the Aplenzoo, the highest zoo in Europe. 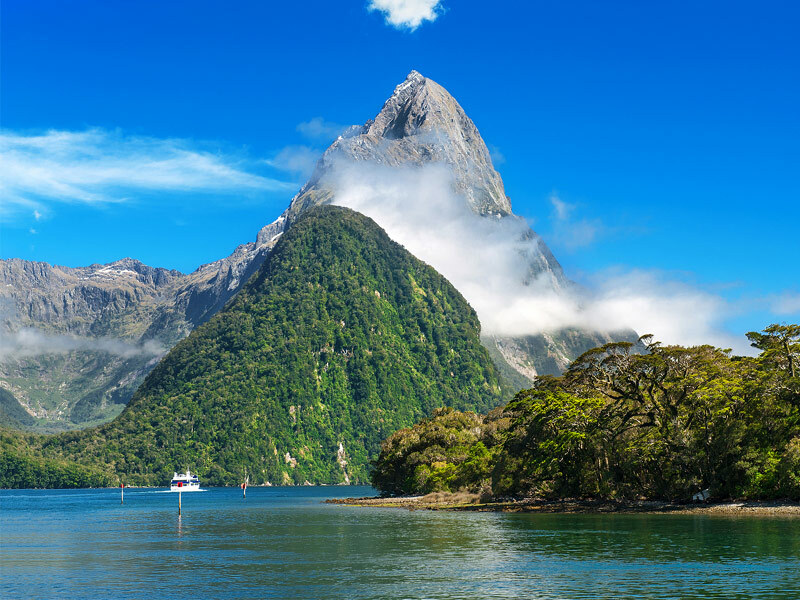 While New Zealand may be the world’s fourth most peaceful country, it’s anything but boring. Its scenery is among the most breathtaking in the world, with rugged coastlines and alpine glaciers, towering mountains, fjords, lakes, geysers, beautiful beaches, waterfalls and more. It’s also known as the home of some of the most thrilling, heart-pounding adventures, like whitewater rafting, jet boating, bungee jumping, caving, bridge climbing and sky diving, along with more gentle pursuits like bush walking and fishing. You can even explore the glowworm caves, renowned for its ceilings and walls that are lined with shimmering blue and green fair lights as well as stalactite and stalagmite displays. Visit this fascinating labyrinth by taking a boat trip, or an inner tube, using only the glowworms to light your way. Switzerland, ranked as the No. 5 most peaceful country, has a positive form of multiculturalism with people living together peacefully notwithstanding different languages and different religions. 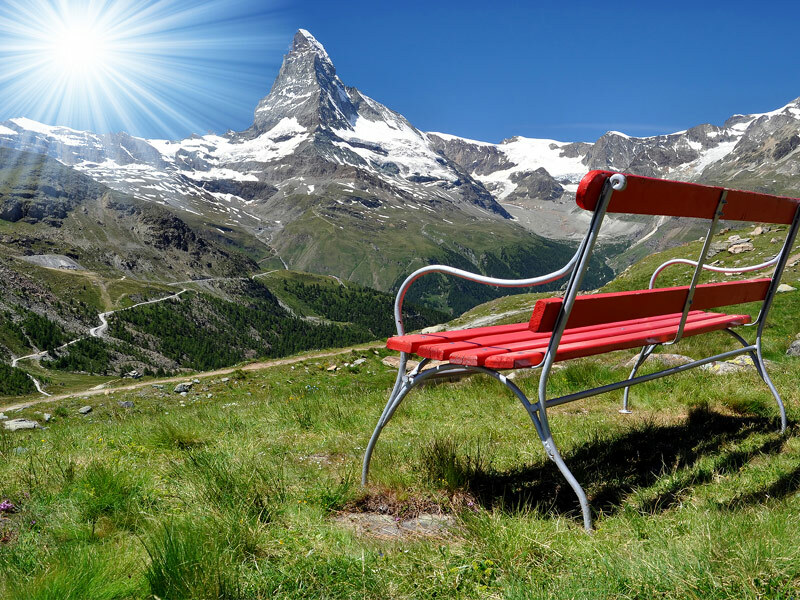 It also has some of the most stunning mountain scenery in the world, including the Matterhorn, recognized around the globe as its proud symbol. It soars into the sky at an incredible 14,692 feet, offering challenges to mountaineers and a spectacular sight for all to see. No matter what time of year you visit, taking a ride on the Gornergrat railway from the village of Zermatt will bring you to the starting point of an unforgettable tour on the mountain. If you like to swim, you’ll never be more than 12 miles from a lake or river, and the waters here are extraordinarily clean, making them perfect for a cool dip in the summer. This peaceful, happy country, is also a great destination for seeing the Northern Lights, and you can even visit Santa any time of the year at Santa Clause Village or sleep in a glass igloo at Kakslauttanen, staring up into the starry sky above, watching for the spectacular light show. During the warmer months, you can visit charming seaside towns too, like Hanko, where visitors and locals alike enjoy surfing, diving and cycling. 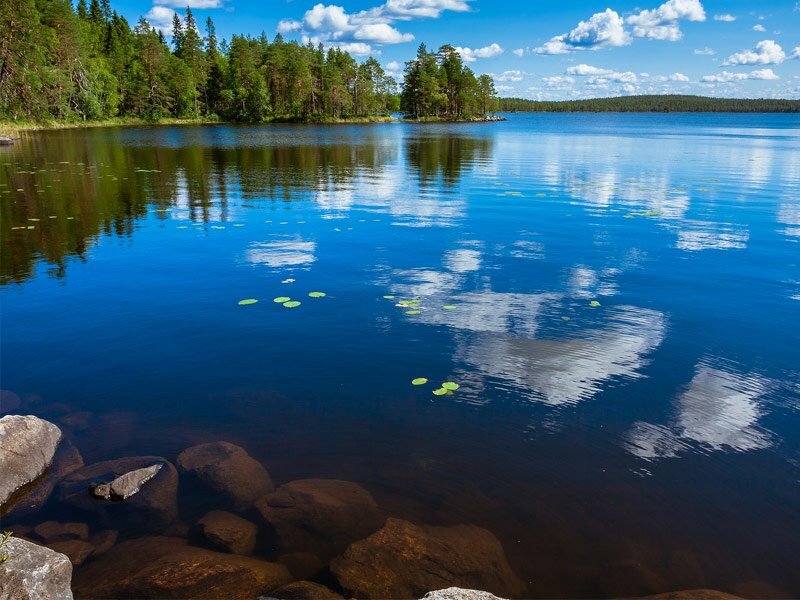 Finland is a land with thousands of forests and thousands of lakes too, in fact, it’s home to 188,000 lakes that are so vast, the country has the most water in relation to land mass of all others in the entire world. Not only that, but the Finnish term, “Jokamiehen Oikeus,” which means “Everyman’s Right,” gives you the freedom to walk freely in nature, wherever you want. 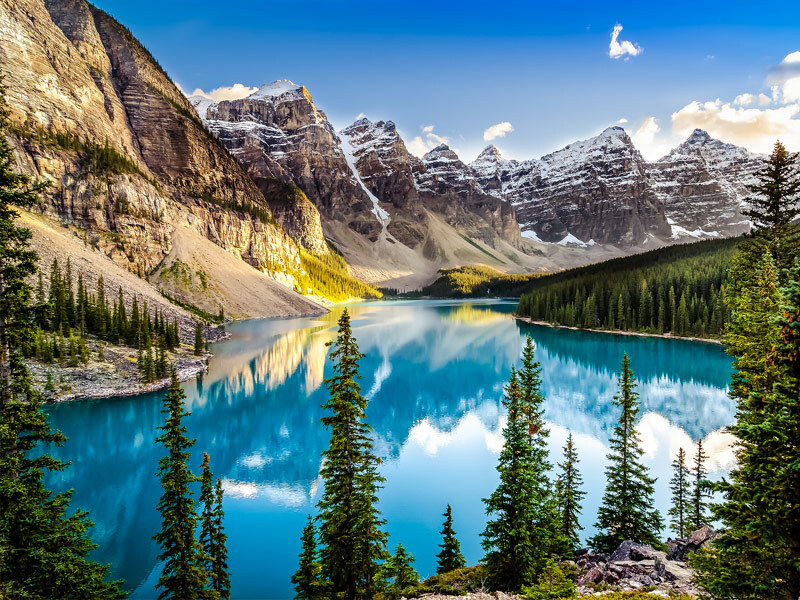 Canada is a vast country, with incredible natural beauty from soaring mountains and glaciers to secluded lakes and breathtaking coastlines that’s almost unparalleled worldwide. It’s also home to cosmopolitan cities that are clean, safe and friendly. Not only is it ranked as the No. 7 most peaceful country, it’s been frequently lauded as one of the best places to live on the planet. Visitors can explore unspoiled wilderness in this land where there are still mountain peaks that have never been climbed, sip ice wine, known as British Columbia’s “liquid gold,” watch polar bears in Manitoba or get up close and personal with humpback whales along Newfoundland’s more than 18,000 miles of breathtaking coastline. And the food? On either coast you’ll find incredibly fresh and delicious seafood, and just about anywhere in the country, you can indulge in a snack called “poutine,” a pile of chips (fries), with gravy and cheese curds – perfect after a long hike, or a long alcohol-infused night. Japan is not only one of the world’s safest, most peaceful countries, with low crime and no major conflicts with its neighbors, it’s considered Asia’s happiest nation and one of the most fascinating places to visit culturally and traditionally. 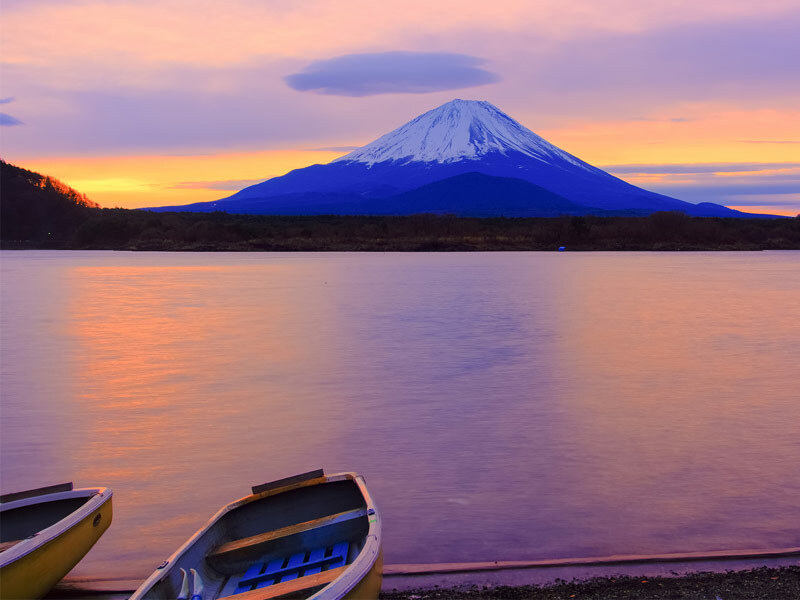 Mount Fuji, the famous snow-capped mountain that can be seen from Tokyo, more than 60 miles away, offers the chance for hikers to climb to the summit at night and watch an incredible sunrise from Japan’s tallest mountain. If that’s a bit too strenuous, consider a boat trip out on Lake Ashi or Lake Shojiko, providing beautiful views of the mountain and the surrounding area from atop the water.You can also walk through a bamboo forest, view magnificent gardens like the legendary wisteria garden, dine on amazing sushi and take a lesson in the art of the Samurai. Belgium has long been known as a peaceful country. A place where harmony with nature can be seen and experienced in the city as well as the countryside. Brussels, and the surrounding region, has more green areas than any other European Capital, home to many parks as well as the beautiful Soignes Forest. The southern part of Belgium, often referred to as the Ardennes, forms its “green lung,” with a network of rivers, nature reserves and woods. 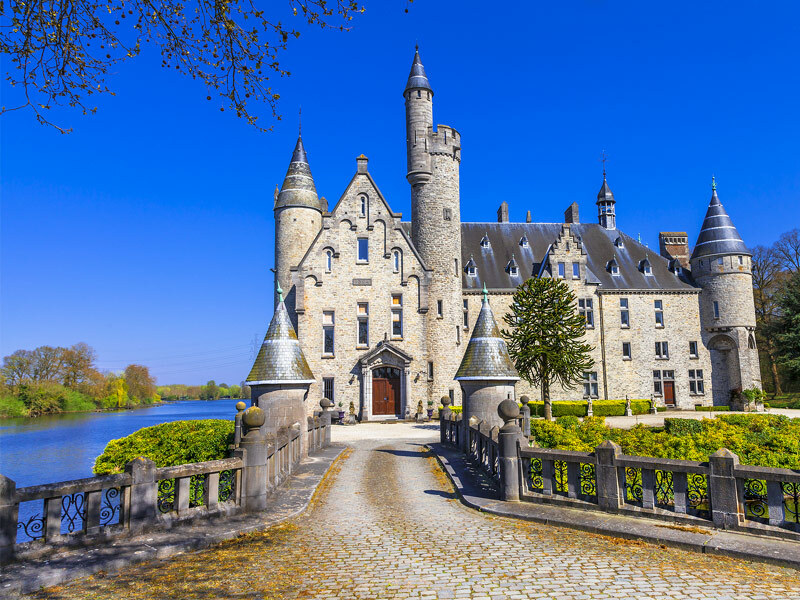 Beyond Brussels you’ll find a world of picturesque landscapes that includes castles stone-built villages and gourmet eateries. Visit historic Bastogne, relaxing Spa, scenic Namur and the castles of Bouillon too. Norway is another country that’s often ranked among the happiest in the world in addition to being one of the safest and most peaceful nations. With stunning landscapes including everything from cascading waterfalls and glacial valleys surrounded by towering mountains to breathtaking coastlines and an abundance of wildlife, it’s no wonder residents are happy to live here. The capital city of Oslo is sure to make any foodie smile – the Michelin food guide 2014 awarded five stars among four restaurants here: Ylajali, Statholdergaarden and Fauna each received one star each, while Maeemo held onto two stars. Outdoor enthusiasts will want to head to Dovrefjell National Park in the Dovrefjell mountain area to look for shaggy musk oxen and reindeer. Many people don’t realize that the Czech Republic is a peaceful place, but it ranked No. 11 and has been an especially tranquil country since its independence in 1989. 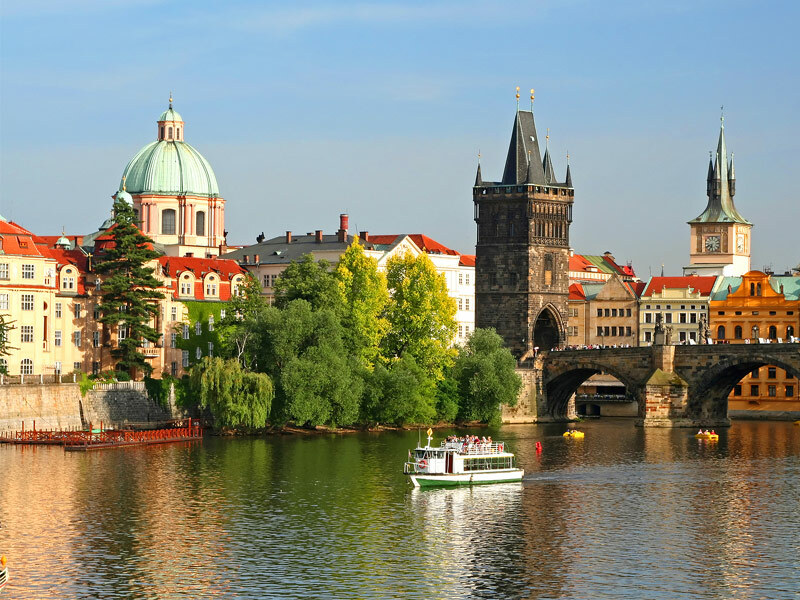 The beautiful city of Prague is home to some of the most magnificent buildings, attracting visitors from around the globe. Prague Castle, an important cultural and historical monument, is a must visit. The crown jewels are kept here, as are the relics of Bohemian kings, precious Christian relics, art treasures and historical documents. Events important for the whole country have taken place within its walls. Surrounded by mountains along its borders, the countryside is filled with charming towns and the most castles per square mile of any country on earth. The Castle Road, a romantic route through southern Germany, also extends for a portion here, beginning near Mannheim and concluding in Prague. You may want to soak in the curative powers of the many local springs, used for centuries to heal as well as to refresh. People from across the globe are drawn to the country’s spa towns like Marianske Lazne, Karlovy Vary and Frantiskovy Lazne to relax and unwind. Swedes love to celebrate, rather than fighting amongst themselves or against other countries. The nation tied with the Czech Republic at No. 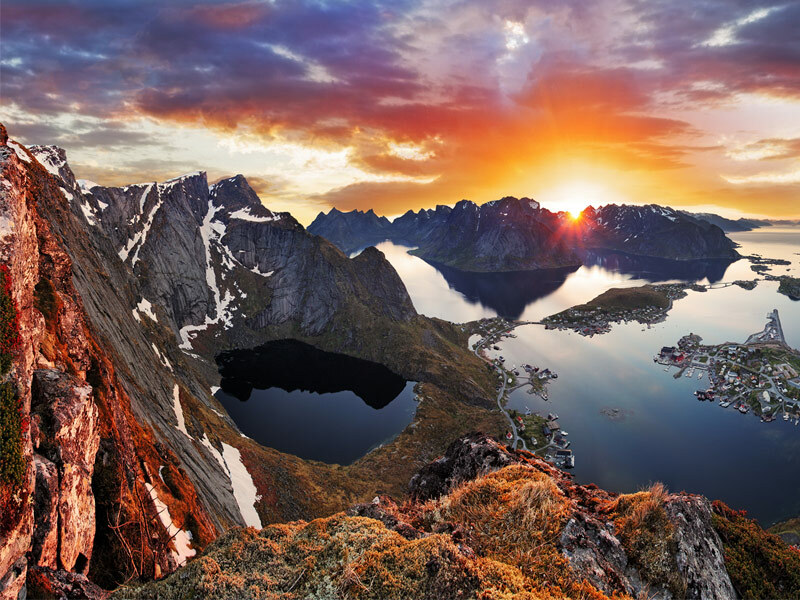 11 on the Global Peace Index, and located in the northern reaches of Europe, it also happens to be one of the most beautiful Scandinavian countries. If you happen to go, the midsummer celebration is the biggest, a national holiday celebrating the longest day of the year with traditional food and dances around the maypole. If you can’t make it then, you’ll still find a ton of things to do. 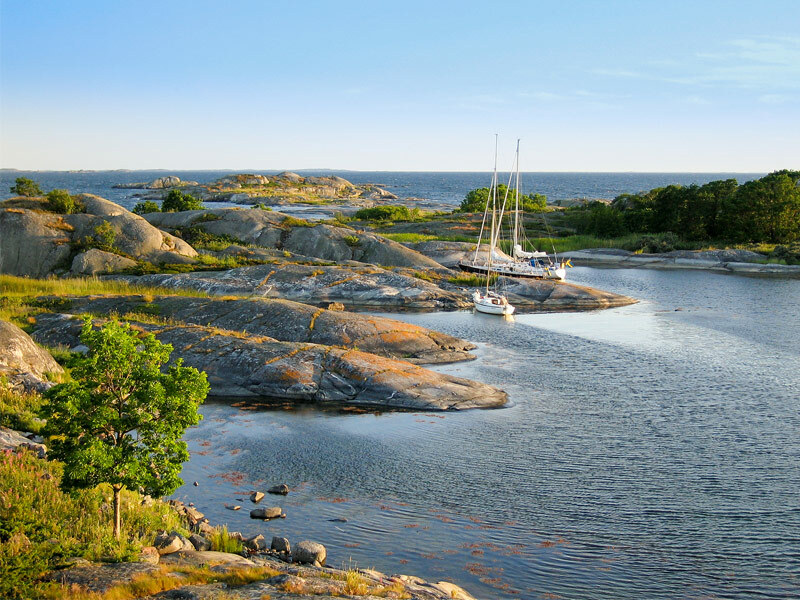 Only 20 minutes from Sweden’s capital city, Stockholm, the Stockholm Archipelago is made up of some 30,000 islands. Offering all sorts of outdoor recreation, from swimming and kayaking to fishing, hiking, bicycling and more. Or, you can head up to the stunning Bohuslan coast, one of the best places for sea kayaking as well as opportunities for rock climbing and mountain biking too. 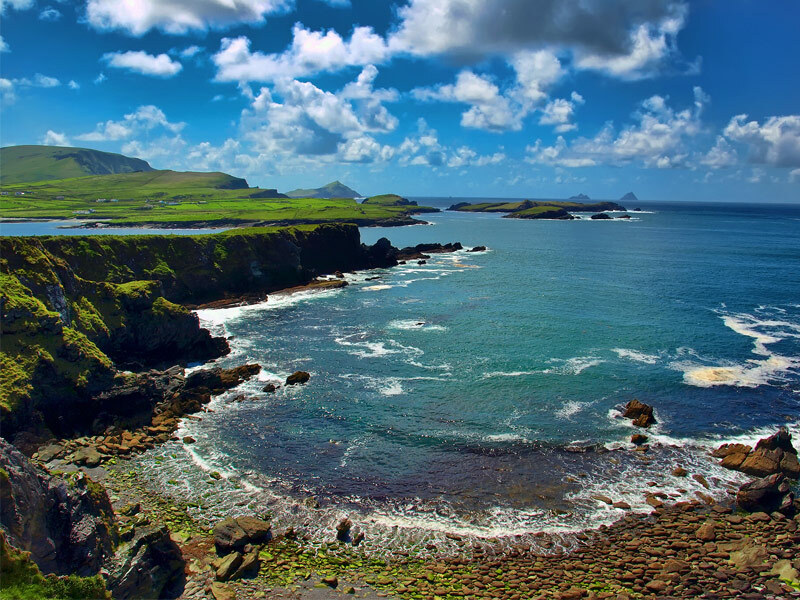 As if you needed another reason to go to the Emerald Isle, with its lush green hills, stunning coastline, ancient castles, tons of Irish charm and legendary hospitality, it’s really not surprising that Ireland is one of the world’s most peaceful countries. Don’t miss embarking on one of the most scenic drives on earth, the Ring of Kerry, and if you’re up for a hike, you’ll find practically an endless number of opportunities too, including Wicklow Way in the Wicklow Mountains as well as Killarney National Park. If castles are your thing, don’t miss Kilkenny Castle, rising above the River Nore, or the Rock of Cashel, an ancient fortified home of kings, both in the southeast region of the country. If you want to splurge, you can even spend the night at Ashford Castle, renowned as one of the most spectacular in the world. The lakes and meadowlands of this small country in central Europe have long been under-visited, but as the 14th most peaceful nation in the world, now you have another reason to check it out. Tucked in an alpine valley along the Ljubljanica River, the capital city of Ljubljana is one of the most picturesque is the region. This walkable, romantic city is filled with cobblestoned streets lined with charming cafes and trendy bars along with museums and art galleries. You can even visit the hilltop castle, one of the most popular sights in the city with a tower that offers impressive views of Ljubljana and well beyond. Just 10 miles shy of the country’s border with Austria, the Julian Alps and miles of forest stop abruptly for the small alpine lake with jade waters known as Lake Bled, overlooked by a towering Romanesque castle, it’s a must see. With thermal springs keeping the water a toasty 79 degrees, it’s also ideal for a swim. At No. 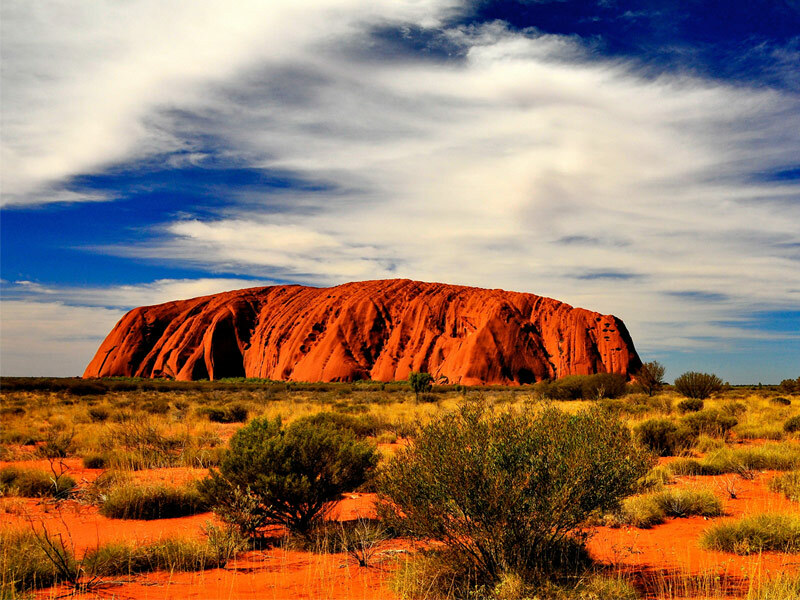 15, it’s no wonder Australia is peaceful – those down under have got it good, with lots of fresh air and a pleasant climate, along with incredible wildlife like crocs and kangaroos as well as jaw-dropping scenery, including laid-back cities, idyllic islands and unspoiled beaches. On top of all that, visitors will find locals to be especially friendly and welcoming. Go underwater to explore the Great Barrier Reef, internationally renowned for its world-class diving and abundance of marine life including more than 1,600 species of tropical fish, sharks, turtles, dolphins, giant clams and rays. If seeing dolphins is a priority, head to Shark Bay, home to the famous dolphins of Monkey Mia, known as one of the most reliable spots on earth for a wild dolphin encounter. Australia has great wine regions too, including Margaret River near Perth and the Hunter Valley near Sydney. For lush jungle lovers, Queensland is home to one of the oldest continuous tropical rainforests on the planet, dating back to the age of the dinosaurs.